Chicago is a dynamic city, with some of the best art, culture, and food around. However, we also have some of the most extreme weather as well. From high winds, freezing temperatures, rain, sleet, snow, and everything in between, our homes take a beating. In addition to the damage, there is the constant cost associated with heating and cooling. If you are looking to reduce your heating and cooling costs, then you should consider replacing your windows. 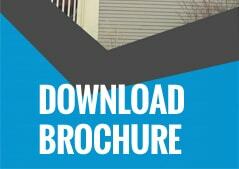 In particular, vinyl windows provide a great deal of potential for saving you money in the years to come. Lets take a moment to examine vinyl windows more closely, and discuss how Best Windows Inc., can help you with our incredible service. Window technology has come a long way in the past two decades. Vinyl windows in particular have gotten increasingly resilient, keeping your heating and cooling inside and allowing for little to no leaks. Along with saving you money, they also do an excellent job blocking exterior sound, making your home quiet even in the middle of rush hour. There is also no condensation and no chance of termites with vinyl windows, making them a top choice if you are looking for maintenance free windows. Finally, vinyl windows represent an investment in your home, and can increase the value of your home as a result. Here at Better Windows Inc., we specialize in windows and patio door installations. In particular, we have a great deal of experience with vinyl windows, pulling from countless installations the knowledge to quickly and effectively install your vinyl windows. Providing a top quality product to our customers, we hope to match this with top of the line customer support and the fastest delivery times in Chicago. Having vinyl windows is one thing, and having your vinyl windows installed correctly is quite another. 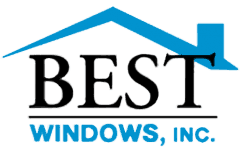 Best Windows Inc. is based on our relationship with the greater Chicago area. We are only as good as our reputation, and we will work through every job, treating it with the time and attention it deserves. If you have any questions at all, please do not hesitate to contact us at (708) 204-2446 or fill out a form on our website where we will be able to get back to you via e-mail. You may also visit our website Best Windows for more information about vinyl window replacement Chicago IL.